Over the past three months I have had the pleasure of speaking with Kathleen Dahlgren, founder of Cognition, several times. I first learned about Cognition at the Boston Infonortics Search Engines meeting in 2009. That introduction led me to a closer look several months later when researching auto-categorization software. I was impressed with the comprehensive English language semantic net they had doggedly built over a 20+ year period. A semantic net is a map of language that explicitly defines the many relationships among words and phrases. It might be very simple to illustrate something as fundamental as a small geographical locale and all named entities within it, or as complex as the entire base language of English with every concept mapped to illustrate all the ways that any one term is related to other terms, as illustrated in this tiny subset. Dr. Dahlgren and her team are among the few companies that have created a comprehensive semantic net for English. In 2003, Dr. Dahlgren established Cognition as a software company to commercialize its semantic net, designing software to apply it to semantic search applications. 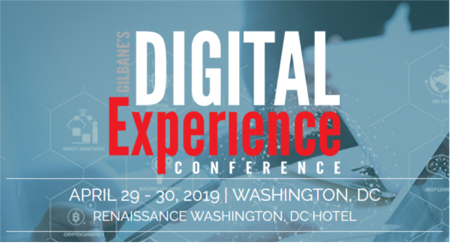 As the Gilbane Group launched its new research on Semantic Software Technologies, Cognition signed on as a study co-sponsor and we engaged in several discussions with them that rounded out their history in this new marketplace. It was illustrative of pioneering in any new software domain. Early adopters are key contributors to any software development. It is notable that Cognition has attracted experts in fields as diverse as medical research, legal e-discovery and Web semantic search. This gives the company valuable feedback for their commercial development. In any highly technical discipline, it is challenging and exciting to finding subject experts knowledgeable enough to contribute to product evolution and Cognition is learning from client experts where the best opportunities for growth lie. Feedback from current clients and attendees at 2010 conferences, where Dr. Dahlgren was a featured speaker, confirms escalating awareness of the field; she feels that “This is the year of Semantics.” It is catching the imagination of IT folks who understand the diverse and important business problems to which semantic technology can be applied. In addition to a significant upswing in semantics applied in life sciences, publishing, law and energy, Cognition sees specific opportunities for growth in risk assessment and risk management. Using semantics to detect signals, content salience, and measures of relevance are critical where the quantity of data and textual content is too voluminous for human filtering. There is not much evidence that financial services, banking and insurance are embracing semantic technologies yet, but it could dramatically improve their business intelligence and Cognition is well positioned to give support to leverage their already tested tools. Enterprise semantic search will begin to overcome the poor reputation that traditional “string search” has suffered. There is growing recognition among IT professionals that in the enterprise 80% of the queries are unique; these cannot be interpreted based on popularity or social commentary. Determining relevance or accuracy of retrieved results depends on the types of software algorithms that apply computational linguistics, not pattern matching or statistical models. In Dr. Dahlgren’s view, there is no question that a team approach to deploying semantic enterprise search is required. This means that IT professionals will work side-by-side with subject matter experts, search experts and vocabulary specialists to gain the best advantage from semantic search engines. The unique language aspects of an enterprise content domain are as important as the software a company employs. The Cognition baseline semantic net, out-of-the-box, will always give reliable and better results than traditional string search engines. However, it gives top performance when enhanced with enterprise language, embedding all the ways that subject experts talk about their topical domain, jargon, acronyms, code phrases, etc. With elements of its software already embedded in some notable commercial applications like Bing, Cognition is positioned for delivering excellent semantic search for an enterprise. They are taking on opportunities in areas like risk management that have been slow to adopt semantic tools. They will deliver software to these customers together with services and expertise to coach their clients through the implementation, deployment and maintenance essential to successful use. The enthusiasm expressed to me by Kathleen Dahlgren about semantics confirms what I also heard from Cognition clients. They are confident that the technology coupled with thoughtful guidance from their support services will be the true value-added for any enterprise semantic search application using Cognition. The free download of the Gilbane study and deep-dive on Cognition was announced on their Web site at this page.